With exercise, as with all routines, it’s easy to get into a rut. You find yourself going through the motions but not really pushing yourself; lacing up your trainers or rolling out your yoga mat, but not fully engaging in the activity you are doing. When this happens, it’s easy to plateau, or worse, to feel your fitness levels falling. The pleasure from your workout diminishes and your interest may start to wane. When you start to sense this happening, as I have done recently, it’s worth doing something to shake up your routine – something to push yourself out of your comfort zone and to give you renewed momentum. Having recently finally mastered my crow pose, I decided that it was time to increase my repertoire of inverted-balance postures with a headstand. For this, I turned to my friend Sophie for help. She talked me through building up from a downward dog, putting my head on the ground, moving my hands within my peripheral vision and walking my feet up towards my hands until I could feel the ‘tip’ of my hips into the air. I practised in front of the wall at first and then, when I gained my confidence, in the centre of the room. 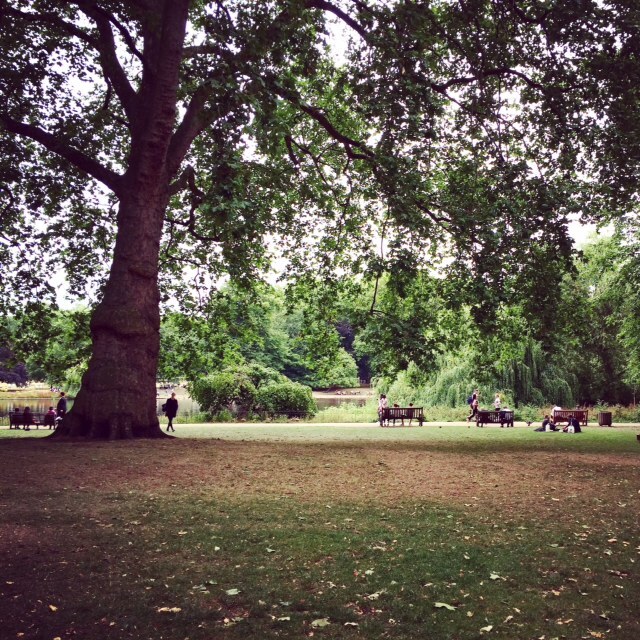 I had one toppling incident, when I got slightly over confident with my balancing skills, but yesterday I proved to myself that I could hold the pose without assistance when I practised in St James’s Park during my lunch break. It’s amazing how much core strength it takes to hold a headstand (something I certainly don’t remember from doing them in my playground days! ), but it was also amazing how proud I felt when I finally mastered it. Adriene does a free ‘Foundations of Yoga‘ series on YouTube, which breaks down new poses so you can increase the poses in your practice and I’d recommend checking it out. On Saturday I organised a trip to the climbing wall with my friend Mark. It’s been an absolute age since I last went climbing and finally having a bit of spare time over the weekend I decided to bite the bullet and get back onto the wall. We went to a climbing gym that I don’t normally go to, which was good as all of the routes were new to me and I had no preconceptions about what I should be able to climb (and thus no immediate gauge of how much weaker I’ve become). 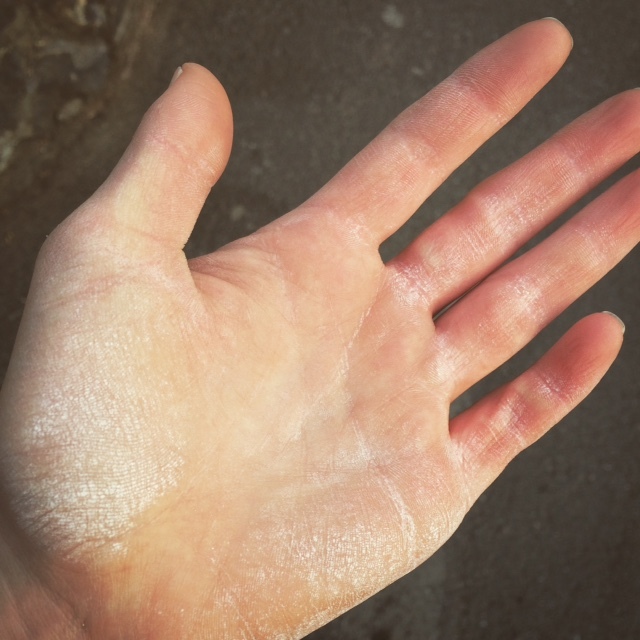 It was a really fun, low pressure session and it reminded me how much I love to climb and how much I’d missed that familiar chalky smell! My muscles were certainly aware it had been an age since my last visit as my lats and shoulders were agony on Sunday and Monday. Still, this wasn’t enough to put me off and I returned again on Wednesday evening to finish a couple of the problems that had foxed me on Saturday. I left satisfied and with that crazy, shaking fatigue that I’ve only ever experienced from climbing, where I know I’ve pushed myself to my limit. 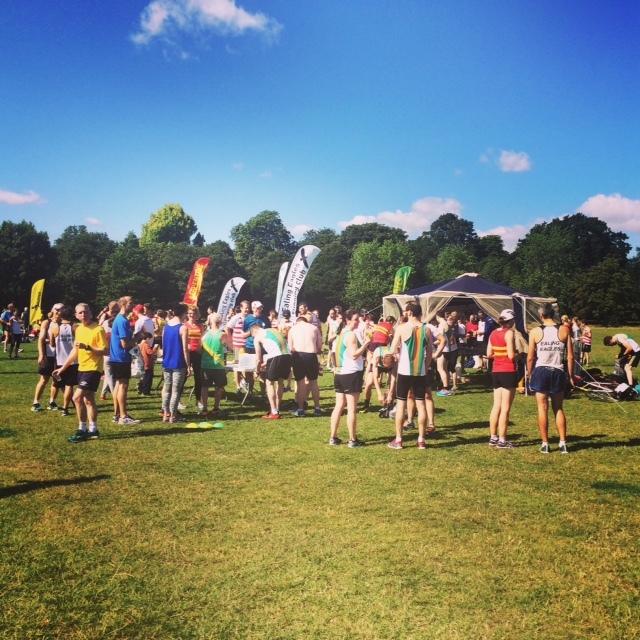 On Sunday it was my running club’s Summer League 10k race in Regents Park. I had been debating whether or not to race, but after a little talking round by R, I decided to take part; and I’m so glad I did! It was my first 10k race and I wasn’t sure how to pace myself. Luckily one of my running partners from Tuesday training was there too and we stuck together for the duration. We went out a bit too fast and I could really feel my legs tiring towards the end. However, he helped me through the last two kilometres and made sure I finished the race smiling. Our chance to rest at the end of the race was short lived as we were then talked into entering a 400m relay. I’m certainly no sprinter, but it was really fun tearing around the track. I haven’t raced in a relay like that since my school days and I’d forgotten how liberating it feels to sprint and how fun it is to be part of a team. So all in all a really good few days and I’ve certainly shaken off my exercise complacency – arms and abs yoga anyone?